Andhra Pradesh government recently launched a health care scheme called the Arogya Raksha Scheme. The scheme has been launched on the occasion of New Year and it is expected to pave way for a better future for the state. What is the scheme all about? Basically is a health insurance scheme that you will be able to get with a minimal premium. The insurance will cover all the members of the family. It must be noted that before this there have been many schemes that are directed towards the below poverty level individuals. This scheme focuses on the above poverty level population and aims to make their health better secured. It is a Universal Health Coverage (UHC) scheme that will be provided to the Above Poverty Level families. The families will be able to get insurance coverage for a premium as low as Rs. 100 per head. Under this new scheme, there will be a new end-to-end cashless system that will be used for treating diseases. This will especially be applicable for 1044 secondary and tertiary diseases that are afflicted throughout the state. Several hundreds of government and private hospitals will implement this new scheme and they will take into account the diseases that have been mentioned under it. The students of the medicine, psychology and nursing will contribute towards the betterment of health of the individuals across the state under this new scheme. They will have to visit the villages and prepare disease profiles so that the hospitals can better treat them. This way the public health management system will be encompassed across the state. Why this scheme was necessary? Looking at the scheme it is quite clear that a detailed list of the scheme was made. Such a detailed assessment can only be made only if there is an impending need for the scheme to exist in the first place. On being asked, the government’s health care department shed light on the matter. They said that the below poverty level individuals constitute only 3 per cent population of the state but all the schemes are directed towards their health security. However, a vast majority of the population remains uninsured. This is a major reason why the population does not receive proper health care. Also, they stated that there has been a greater emphasis from the World Health Organization to have ‘Health for All’. The emphasis has gone up since the adoption of Alma-Ata Declaration. Therefore it was quite impending as per the world standards, that all the individuals have proper and equal health insurance. 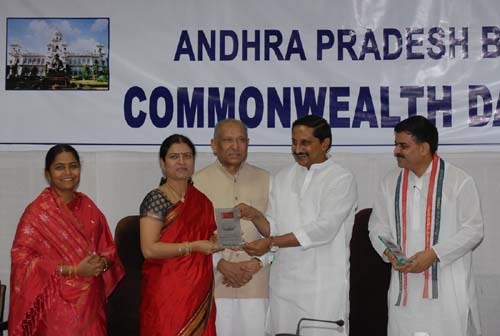 Andhra Pradesh has now become the first state to fulfill the health for all vision of the World Health organization. They had been working on this UHC framework since 2012. What is the procedure to apply for this scheme? If you are interested, you can apply for this scheme online. However it is not the only way to apply for this scheme. The applications can also be sent via Mee Seva centers across the state. There are over 5481 Mee Seva centers across the state. You can visit any one and fill out the forms for the scheme. In the link given below (in table) you can find the list of the Mee Seva centers near you. Visit the official website and enter your Aadhar card number. After entering the Aadhar card number and clicking “check Aadhar” you will receive an OTP. Enter the OTP and verify your mobile number. Once verified, a page will display your family details on the website. Just click “apply for Arogya Yojana” on this page. If you are not eligible the page will show “fail”. If eligible, continue and make the payment for the premium. You will be covered up to Rs. 2 lakh. The state government of Andhra Pradesh launched and implemented the health scheme, called Aarogya Raksha with a lot of hype. This scheme was aimed at providing good medical facilities for people of this state alone. Though the state government started out with a target, it did not pay attention to the promotion of this scheme. Thus, common people and target beneficiaries did not get adequate information about the implementation of this project.